RZA’s latest venture might be his most unusual yet and that’s saying something. 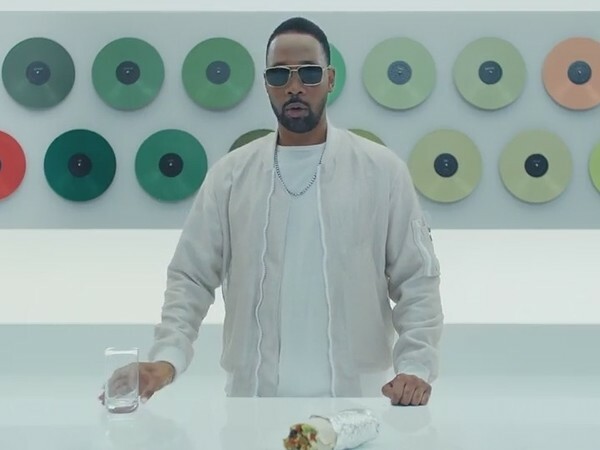 The Abbot of the Wu-Tang Clan has partnered with Chipotle Mexican Grill for SAVOR.WAVS, a “musical experience” inspired by the ingredients of the restaurant’s chain. The acclaimed producer has crafted 51 sounds to coincide with the ingredients available at Chipotle. Aspiring producers can go to the SAVOR.WAVS site to mix these sounds and create their own beat. The interactive platform aims to mimic the process of an order at Chipotle as users can keep it simple or throw together a variety of sounds. Even if the aforementioned process doesn’t sound appealing to you, the SAVOR.WAVS campaign is still worthwhile since it produced a new Wu-Tang Clan song. RZA linked up with Method Man, Raekwon and Ghostface Killah for an official Wu-Tang remix using these sounds. AWOLNATION, The Head & the Heart, GRiZ and PANG! are among the other artists to use RZA’s ingredients for their own remixes. Check out the Wu-Tang remix below.